What's with the round yellow arrows? They were there that day only for a bicycle event. "Bienvenue en Ohio - Le cœur des États-Unis" Indeed, "noyau" doesn't sound quite right here, as it should be used when the "center" in question is more important than what is around it. Permanent signs with no construction in sight should not be orange! There are several of these along PA 154. Directions to places of strategic importance for the impending NATO invasion. Even under normal circumstances, though, the signage at that intersection hasn't been right for a few years. This just made it worse. I'm pretty sure the arrow under the Bus. 169 sign in Richie's pic has always been just a left-only arrow when it should be a left/straight arrow. 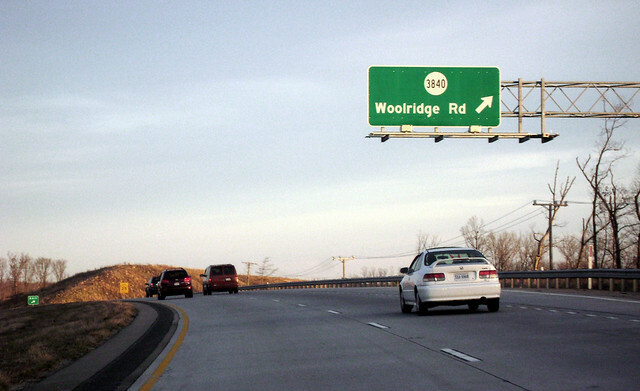 This photo is quite old, and a few signs on southbound VA 288 have been replaced, but this section of Woolridge Road in Chesterfield County, Virginia is still heavily signed as SR 3840...when it's actually SR 668. I didn't realize this until today. Both cannot be, so one of the two assemblies is wrong then. Note in the background of the first photo, there's an assembly that reads TRUCK SOUTH US 11 straight. My assumption is that the signs on Washington Street should have TRUCK banners. I checked it out thorough, if you follow US 11 North on Washington, at Paddock Street (where the western so called alignment comes back to Washington Street) it has a shield directing you straight ahead on Washington. Then if you head southbound on US 11 from the North at the split of Mill and Massey Streets it has signage directing you to Massey Street. It is almost like the Massey alignment is for SB and the Washington, State Street, and Mill Street is for NB. I have seen two different roadways used for two directions of travel before, but not both signed for it from adjoining routes. The TRUCK banner does not make sense cause Washington Street is through the Downtown area, where usually trucks are banned from. Massey Street bypasses the business area. All these signs are along I-680 northbound. 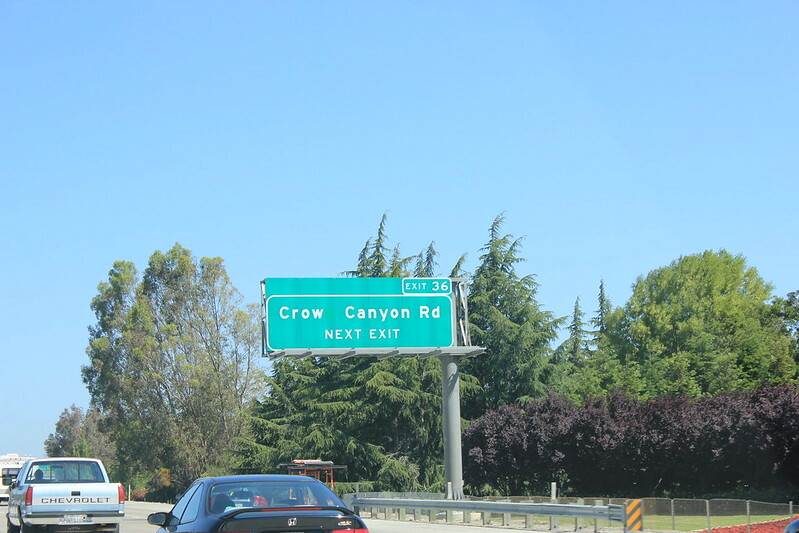 Next is this sign that has a little too much space between "Crow" and "Canyon"
The Diablo Road sign isn't just crowded, but also has a Helvetica speed sign next to it. 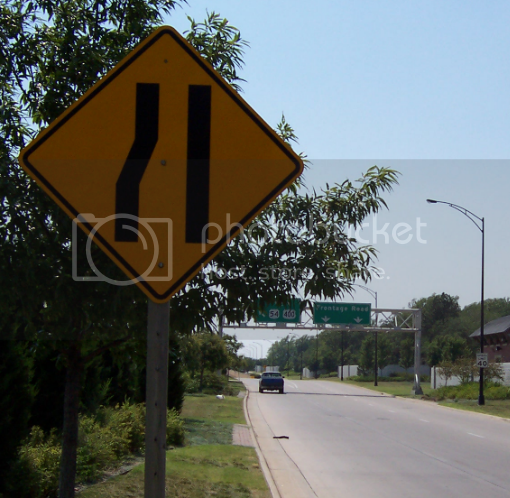 On this next sign, I'm pretty sure the I-680 pull-through sign is supposed to have down arrows instead of what's there. This one has strange greenout on it, as well as a lot of other signs in the area. To me, this one is notable because the exit tab on the 262 sign has no border around it. This last one just has a bunch of strange stuff on it. First is the state-named 780 shield, then the undersized "3/4" for the mileage. I guess 'erroneous' could be a synonym for 'having design errors'.....but.....I wouldn't really call any of those above signs 'wrong' in the sense of conveying erroneous information. 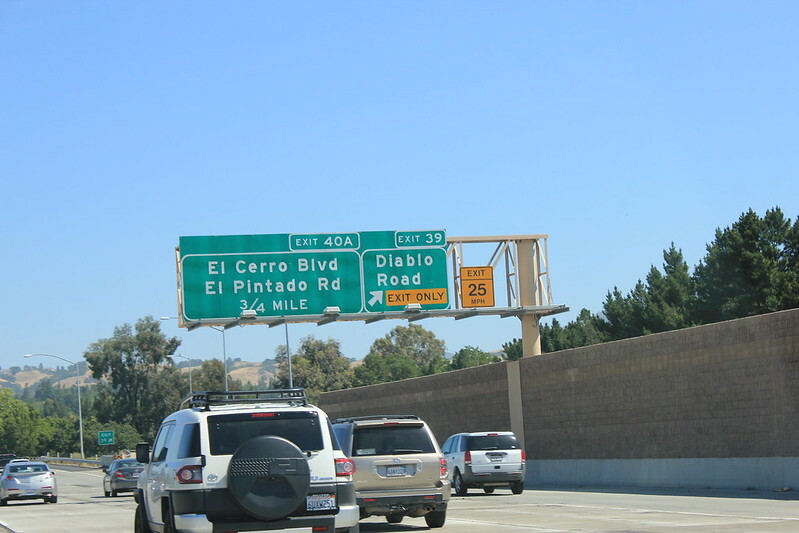 This sign is original to when the 680-24 interchange was reconstructed back in 1999. 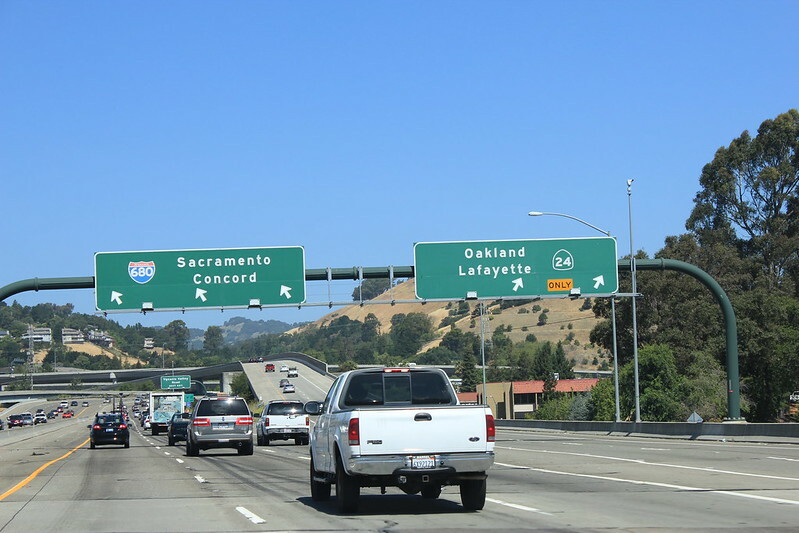 When the interchange was reconstructed, 680-bound traffic was switched from the right lanes to the left lanes and that might be a reason why the pull through sign has upward pointing arrows to drive home the point that the lane configuration has changed. 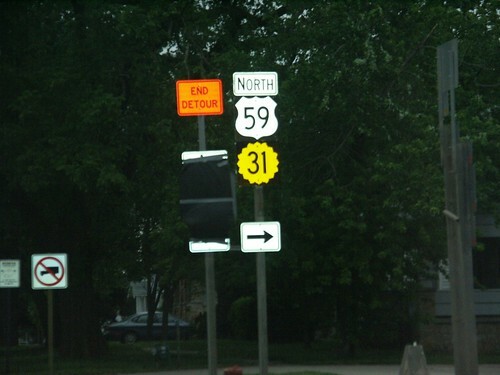 ...the size and location of the route shield made it difficult to add an exit number. I'm not sure why the exit tab has no border other than contractor laziness and the route shield leaves much to be desired. 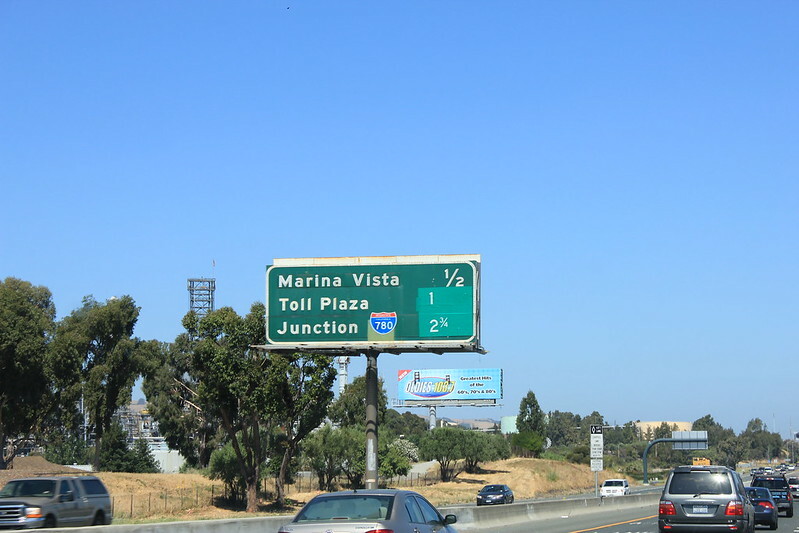 This sign had to be modified when the toll plaza was moved from the north end to the south end of the Benicia Bridge because it shows the distance to the toll plaza. It also appears that this is an old porcelain sign (judging by how deep the green color is) which means it probably dates back to when I-680 was routed onto what is now I-780 and the current I-680 was CA-21. 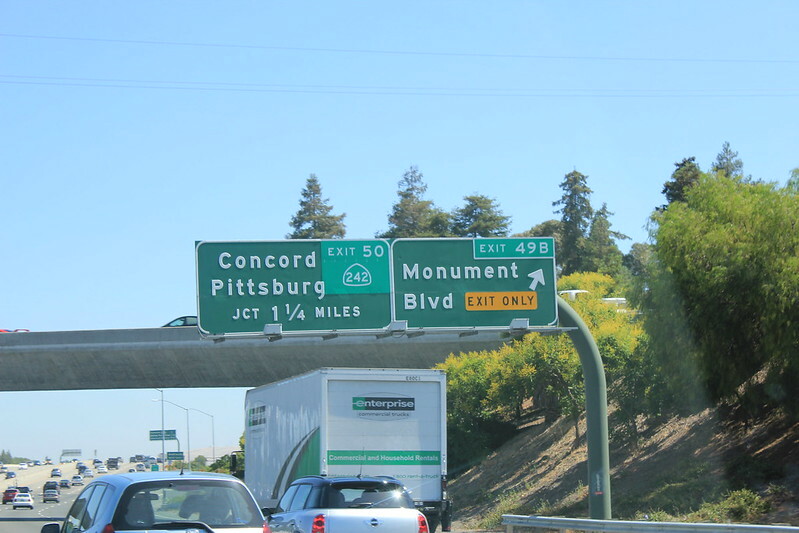 That means, under the greenout that the I-780 shield sits on top of is probably an old CA-21 shield. 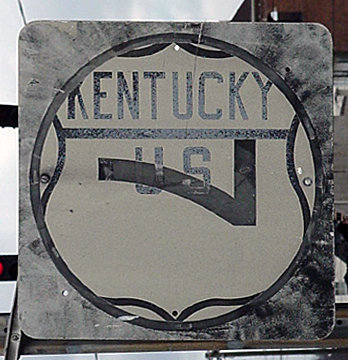 That's in Grayson, on the old alignment of KY 7 northbound approaching US 60. The sign was on an old assembly and was hanging like that. I myself took several pictures of it a number of years ago. I think it's gone now but I wouldn't swear to it. I think it's gone now but I wouldn't swear to it. been gone for a while. I tried finding it in July, 2007 and had no luck. I see this kind of mistake a lot. No, the lane doesn't actually end. In some cases, the sign is posted in advance of a right-turn-only lane. In this case, the lane actually is the slip between frontage road and mainline (the lane most traffic actually uses at this location). I didn't get a picture yet, but on OH 3 northbound just past I-270 there's a fairly recent US 3 reassurance assembly. I think that's the first time I've ever seen an overhead sign directing traffic between the mainline and frontage road (in OK, standard assemblies placed on the side of the frontage road and in the gore handle the situation much more cheaply). Is that sign not approved for use? I've seen it in other countries' list of highway signs so didn't realize we weren't supposed to use it here.